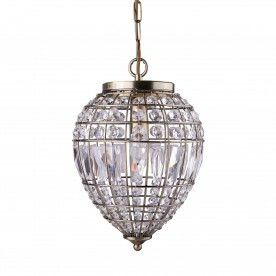 This Antique Brass Pendant Light with Clear Ribbed Optic Glass Lantern brings a traditional feel to any bedroom, living room, dining room or kitchen. 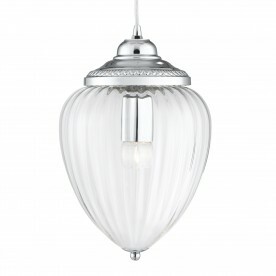 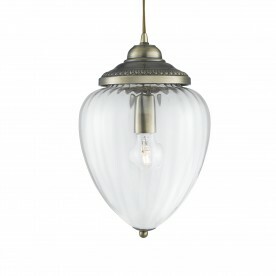 The shapely ribbed glass shade features a classic nub on the bottom, as well as an ornate antique brass finish fitting at the top, leading up to a cable suspension. 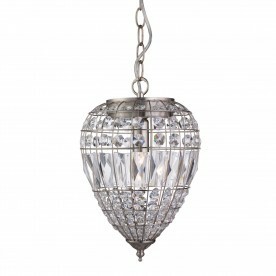 And the light ripples through the ribbed glass shade to beautiful effect.